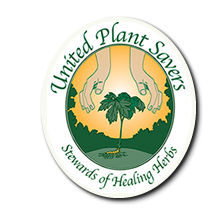 We are committed and practicing Herbalists, Horticulturalists and Artisans, operating a naturally processed and regenerative system in Florida. We focused on soil health with the integration of plants and animals, adhering to the principles of the Safe Seed Pledge. We provide a variety of seeds and plants, that grow well in many zones, to encourage gardening and self-sufficiency. 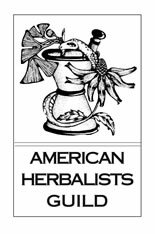 ** We do not purchase any seeds from agribusinesses involved in genetic modification of plants and any other food source. 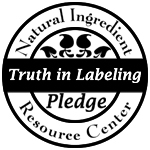 The Natural Health Center® refers to the authority on nutrition and Natural Health Practices. These practices are affordable, based on the best scientific research available, as per the NPA and cGMP certification requirements. We believe that equipped with such products, our clients will have the tools they need to take control of their health, naturally. All of our products are grown NATURALLY, meaning our products are produced and cared, by a certified grower, prohibiting chemicals throughout its growth in the field, during harvesting and processing. These standards foster cycling of resources to promote ecological balance and conserve biodiversity, while eliminating the use of fertilizers, pesticides, irradiation, genetically engineered modification and sewage sludge. NO pesticides, NO herbicides, NO fertilizers, NO inoculations, NO chemicals! We do not grow or produce Organic products. 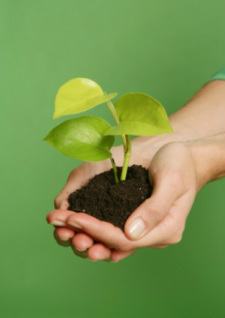 Our efforts are essential in our quality service methods, advocacy, developmental and environmental integrity! Please be aware of your local USDA hardiness zone and your last frost free date. Many of our customers have greenhouses or other methods to over winter their plants, so we trust in their knowledge as when to ship. Our goal is for your plants to arrive healthy, therefore we do not recommend ordering plants during freezing temperatures. Due to seasonal propagation and growth, we will not ship plants, until they are mature to market. Upon receipt of your package or box, be sure to open immediately and check the contents. The products you have just received are perishable and care should be taken to ensure their future viability. If you have received seeds, store your seeds in a cool, dry and dark location. Most seeds have a long shelf life, but heat and moisture will cut that life short. Dedicate a drawer or cabinet to storing your seeds where you can also house your gardening journal close at hand for planning and preparing. Order your bulbs according to your planting zone, to ensure growth. Bulbs are perishable and are not intended to be kept in the box for a long period of time. Upon initial inspection, they should be firm and healthy looking. Take into consideration sun, moisture and drainage requirements (and the labor needed to ensure these vital components) when planning your planting locations. Whether you strive for a natural or more formal look, planting sites for seeds and bulbs alike, will need most of the same conditions: moist, well-draining, weed and rock free soil and at least 6-8 hours of sunlight a day. Loosen the soil to a depth of no more than 8” – 10” and enrich with organic matter, such as compost. You can trust that your order will be quickly processed and safely delivered. We ship our products within the United States using the United States Postal Service. This method insured your order to arrive in the same excellent condition, quickly with tracking, from our facility. When ordering online, your receipt is available for printing, on the final step of checkout. to help preserve the environment, as a new force for change. This effort promotes a healthier world and the fundamental foundations, in achieving lifestyle goals."